Critically-acclaimed North of 60 returns to the airwaves on APTN | TV, eh? Several generations grew up watching the popular series North of 60, before it left the TV screen a little over a decade ago. Today, fans are still enthralled with the drama. The entire series—six seasons, all 90 episodes—will air in consecutive order starting Monday, February 19. Daily episodes Monday through Friday, airing on APTN e and APTN hd at 5:00 p.m. ET, and on APTN w at 5:00 p.m. MT and APTN n at 1:00 p.m. CT. Fans who prefer a weekly rendezvous can also tune-in on Sundays, starting February 25, on APTN e and APTN hd at 7:00 p.m. ET, APTN w at 7:00 p.m. MT and APTN n at 7:00 p.m. CT.
North of 60 was one of the first shows that represented Indigenous Peoples in a real way. Day-to-day life was highlighted along with issues that mattered most including cultural preservation. It was the first time an Indigenous person was cast as the lead in a Canadian television drama, and the show launched many careers. The super fans of North of the 60 do not falter, even after all these years. An online petition garnered more than 1,500 signatures and a Facebook page with 4,000 subscribers, including actors from the show, to bring the show back to the screen. 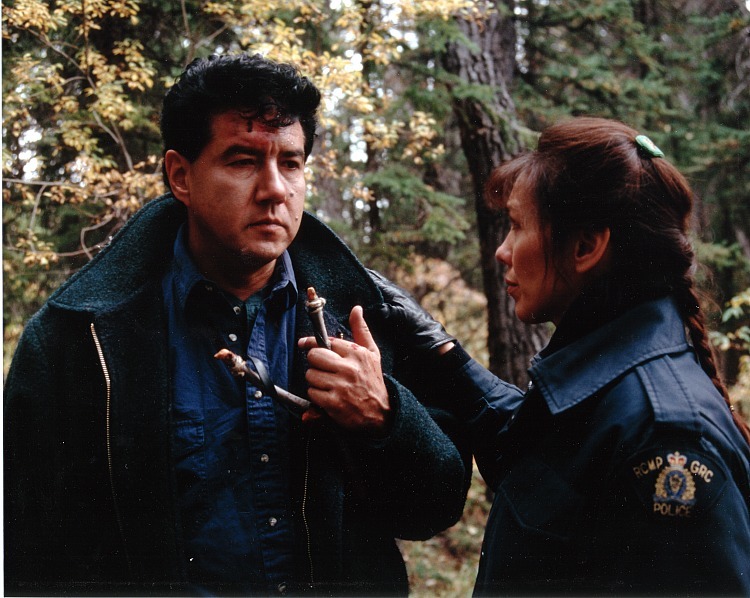 North of 60 was created and produced by Barbara Samuels and Wayne Grigsby, starring Tina Keeper, Tom Jackson, Tracey Cook, Gordon Tootoosis and Gerry Bean (John Oliver). And also starring Robert Bockstael as Corporal Brian Fletcher. Aw. I clicked on this hoping a continuation series had been ordered. So glad that the series is on again. Matt do any cable companies in Washington carry APTN? Check their channel lists. Glad its back. Really missed the show. Its too bad you don’t bring John Olvier back. He was my favorite actor on this show. It’s not the same since he was taken off. Can you not continue the series. I agree, John Oliver made the show, it was never the same once he was gone. I look forward to re-watching the first 2 seasons that he was in it but probably won’t watch the rest. One of my favorite tv series of all time.